Please join us for a private screening at the Brentwood Presbyterian Church in Los Angeles on February 2nd, 2019 at 5:00 PM. This is a free event but seating is limited. RSVP to Serene@The5thDementiaDocumentary.com for admission. Where does one find the inspiration for the subject of a documentary? For me, of all places, it was at my annual mammogram with Dr. Ross Goldberg. When Dr. Goldberg and I were making the small talk that’s necessary to get through the examination, he suggested that I have a look at a band made up of musicians and singers, all of whom suffer with neurodegenerative diseases. I’m 55 years old and have had little exposure to diseases like Alzheimer’s, Parkinson’s and Dementia, so I was somewhat apprehensive. Documentary filmmaking is always a labor of love. It is a discipline that pays almost nothing, makes very little in the end, and requires years of passionate dedication to see the project through. I would have to be convinced that the story of these intrepid musicians would be worth the time and effort. Two days later I was sitting in the pews at the Brentwood Presbyterian Church watching rehearsals of The 5th Dementia Band. The former music professionals and eager amateurs entered the building in various states of difficulty. Some walked in under their own power, some in wheelchairs or leaning on canes guided by caretakers, and others were led, in nearly catatonic states, by loved ones, to their places on stage. It’s difficult to express just how much joy emanates from this special assembly of talent when they play their instruments and unleash their voices. Songs that I didn’t realize I knew so well came back from some place in my childhood memory. The singers enthusiastically belted out standards like “Moon River”, “Singin In The Rain”, “My Funny Valentine”, “Blue Moon”, Tea For Two”, and “Somewhere Over The Rainbow” while the musicians expertly provided accompaniment. The band has over 1500 songs in their repertoire, most of the material committed to memory, that they perform for 1 1/2 hours, twice a week, year round. There was no doubt, from the moment the music started, that I had found the subject for my next documentary. Paul L (Alzheimer’s) needs only to hear someone hum the first few bars of any song and he can play a flawless rendition on his piano. Gene, the bandleader, (Parkinson’s) prepares the song list each week and counts Paul in on his drum kit. Mike, (early onset Alzheimer’s) riffs perfectly on his trumpet. There is Peter (traumatic brain injury) who conjures Charlie Parker on sax. Michael, a lifelong violinist, is pitch perfect. Paul F (early onset Alzheimer’s) fills in on percussion, piano, or both. Paul F is a former music producer and if someone is a little off, it disturbs him so that he puts his fingers in his ears. All of them play without sheet music. The number of singers varies with each rehearsal between 15 to 20. Gary (Parkinson’s and dementia) is the lead singer, and is a true former musician. Most of the other band members have other professional backgrounds (teachers, attorneys, doctors, nurses, artists) but Gary was a legitimate recording artist and was President of Warner Brothers Music. Gary also sings beautiful harmonies and I plan to have him record the opening song for the documentary. Diana (Parkinson’s and dementia) holds the microphone in a trembling hand while smiling and tapping her feet to every song. Occasionally she’ll get up and dance in the aisles. Next to Diana sits Pat (Parkinson’s), Carol H. (Parkinson’s) and Gail (Parkinson’s). Pat doesn’t think she sings very well, so she won’t hold a mic, but she never misses a rehearsal because she says she gets to see her friends and the music makes her so happy that she credits it with pulling her out of a depression that lasted many years. Gail has a beautiful voice and with Carol, they make up for their friend Pat’s quieter voice. Leola (Alzheimer’s and dementia) is 90. Her smile might be the most contagious of the group. She arrives like clockwork with her caregiver and using her walker, slowly makes her way to a seat on stage. For many rehearsals, Leola’s daughter thought that she was unable to read the lyrics projected on a screen for the singers, since her reading ability was thought to be lost. But when asked to read the lyrics aloud, to her daughter’s surprise, she was word perfect. Don (Parkinson’s and dementia) used to be the life of the party. His wife Joanie says he would sing, make jokes and dance wherever he went. Don sang for me when I interviewed him, he’s still got it. Joanie says Don looks forward to the rehearsals so much that some days it’s the only reason he’ll get out of bed. Len isn’t a musician at all, he simply had “conducting a band” on his bucket list. His wife wasn’t sure he would be allowed to join the band. But now, he conducts The 5th Dementia from the front pew where the lyrics often move him to tears. All are welcome to either play, sing, dance or just watch. Aside from Gene, none of the band members come to the rehearsals alone. They are accompanied by caregivers and spouses. All of the caregivers sing along too. Margreth, wife of Ken (Alzheimer’s) says she looks forward to the break, each week at the church, when Ken will join his friends on stage and she can relax and sing from her seat in the pews. Bodies are embraced, hands are held, canes and walkers are put aside. For an hour and half, twice a week, you can feel the roof being raised in the little church in Brentwood, California. If you or someone you know lives with a neurodegenerative disease and would like to be part of a band like The 5th Dementia, please contact Carol at www.musicmendsminds.org. There are about 20 bands worldwide and more forming. Raise a roof in your town. Mike is 64 years old. He was diagnosed with early onset Alzheimer’s 3 years ago but he probably began showing signs as early as 2010. He couldn’t multi-task anymore, everything became linear for him, and he became slightly paranoid. We were living near Boston and there was a series of tornadoes that devastated parts of our town. After that event, every time the weather got cloudy or overcast, Mike would say things like “I think we have to go to the basement”. He was acting like an old man. He became worried about conserving, like the world was going to end. This was so out of character for him. A slow progression of depression set in. By 2012 he was diagnosed as having a nervous breakdown. This mis-diagnosis continued for 2 1/2 years! When my 60th birthday arrived in 2014, Mike didn’t remember it. This wasn’t like Mike. I never considered Alzheimer’s to be the cause. He was on medication for depression and anxiety. I assumed he’d get better, but he didn’t. The strange part was that he didn’t have any memory lapses. He still had (and has) a sense of direction. I did notice that his writing became impaired and he couldn’t retrieve simple math skills. When he couldn’t figure out a 20% tip on a restaurant bill, I thought he was joking with me. He was embarrassed. I realized then that I had to start paying our bills. Mike stopped driving, willingly. I became his caregiver. I entered into a financial disaster for the next 3 years. We had college loans for 2 kids. I had to close his law practice. Our whole retirement vanished. My future became based on how I could make what money we had last. The stress this caused me has been worse than the Alzheimer’s. Mike did so many good things throughout his life. He always gave to others. When Mike was finally diagnosed with Alzheimer’s, his college classmates from Notre Dame organized and sent enough money to pay for Mike’s treatments. Our town banded together and planned a benefit. What they did for us was unforgettable. I don’t know what we would have done without them. I now do all of the cooking, driving, financials and medication supervision. I have no help. Mike is a good man. He didn’t do anything wrong. He would never hurt anybody and I’m not mad at him for getting ill. He tried to shield me from his illness but ultimately he couldn’t hide it anymore. We’ve been married for 35 years. I’m sad that we can no longer travel together as we’d planned to do. Mike needs routine. He doesn’t communicate with me or anyone else, much. I have a lot of one way conversations. I get lonely but Mike and I still have something. It’s different than what I imagined our time together would be at this stage in our lives. 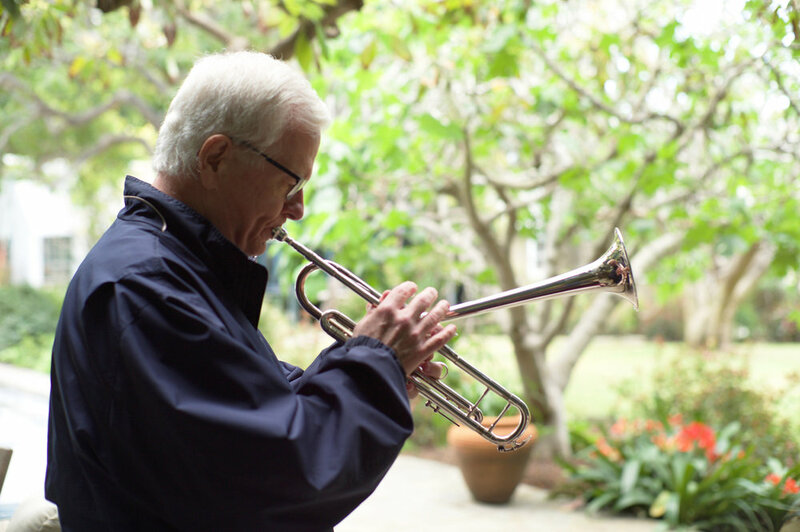 Mike plays his trumpet for The 5th Dementia Band, part of the Music Mends Minds program. He played the trumpet when he was younger then stopped for almost 30 years. His musical ability has not been affected by his illness. When we got to California, he picked up playing again. We both enjoy the community of the band. I enjoy talking to the other spouses at the church while the band rehearses. Mike loves playing his trumpet. When Mike can’t find the words to tell me something, he will either sing a song that has the words he needs to convey his message or get his trumpet and play me a song that will help me connect the dots. I’m not sure how his brain is able to always find the right song to convey what he means, but it works! His music brings him joy. He smiles after rehearsals and is more talkative with me. It’s worth the drive to be a part of this program. 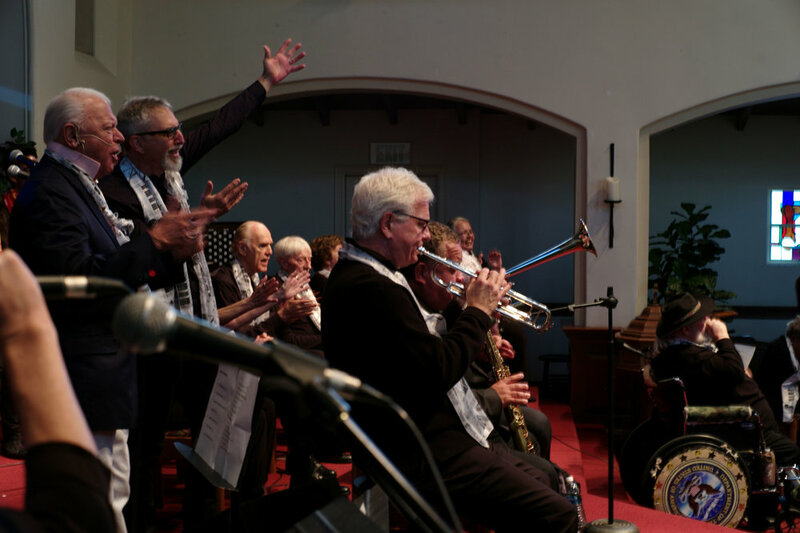 You can see Mike play his trumpet twice a week with The 5th Dementia Band at the Brentwood Presbyterian Church. He and Janice are featured in the upcoming film, The 5th Dementia Documentary. 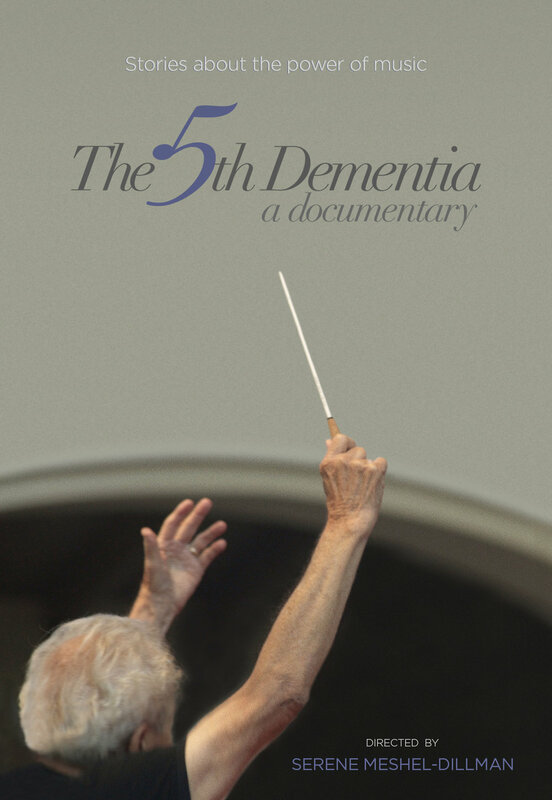 You can see the trailer, images from the film, more about other band members and give a tax deductible donation at www.The5thDementiaDocumentary.com. Click here to read the Michael J. Fox Parkinson's Foundation's excerpt from The 5th Dementia Documentary interview with Diana Davidow, singer with The 5th Dementia band. 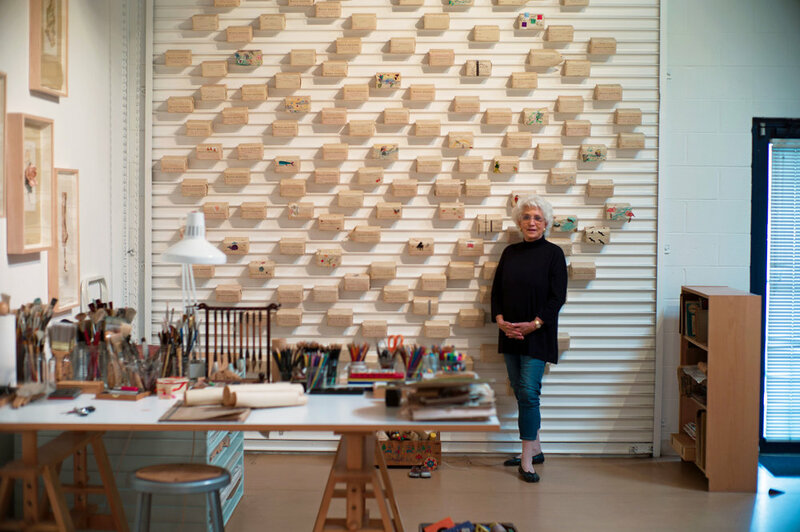 Click here to see CNN Hero article on Carol Rosenstein, founder of Music Mends Minds. Leola is my 90 year old mother. She has Alzheimer’s with dementia. She lives in a group home now after living with me for many years. I couldn’t get anything done anymore, so I needed to find help. Her day to day stuff is now being done with caregivers at the home but doctor’s appointments, driving, scheduling, procuring meds, correspondence, maintaining her former home, bills, calls struggling with medical billing, medicare…Shall I continue? We weren’t particularly close when I was growing up but we are closer now that she is dependent on me. She doesn’t like when she is left alone and wants to come with me wherever I go. She can still walk with her walker and the other day I left her in the car for a few minutes to run into a store. She tried to get out of the car to follow me in. Her walker was in the trunk so she didn’t get far. Leola always dressed nicely so I like to keep that up for her. She has such nice things. She was a sorority girl so in that milieu they encouraged each other to always look pretty. I try to keep up her standards. I do her hair before every 5th Dementia rehearsal and concert. (Leola is a singer in The 5th Dementia band with Music Mends Minds.) I am reassured when others compliment her. It’s gratifying to know I’m doing a good job. It makes her smile so I know she’s happy. That’s the most important thing to me is that she’s happy. I’m new at this. I didn’t know about old people or people with dementia. At the beginning I felt adrift and lost. There is a tendency for people to mis-lead you. There is a huge difference between what is promised and what is delivered. Like used car sales. You expect concern and tender-heartedness but receive mendacity. I’ve learned to be her advocate. That is the greatest disadvantage to me. The time it takes to be her advocate. We spent 8 hours in the ER last week. I brought a radio and memory stick with her songs that she likes. She sat and sang the whole time. That’s how we get through it. She doesn’t cry or get sad. When my brother and I were young, she always found a way for us to take advantage of opportunities that were offered to us. She managed to get me a trip to Europe. If she thought her kids would benefit, she would fight for us. Now it’s my turn. If there’s anything I can do to help her, I have to do it. As long as it puts a smile on her face. This week we are happy to feature Carol Rosenstein as our Caregiver of the Week along with her husband Irwin. Irwin is living with Alzheimer’s Disease and together they foundedmusicmendsminds.org as a way of gathering those living with neurodegenerative diseases such as Alzheimer’s, Parkinson’s and dementia to play music together. “On the weekends Irwin and I have cuddle sessions. He has a single bed now with rails. I lie sideways on his little bed and we listen to music together. I sit in the room with him at night til he goes to sleep. I like to help put him to bed. We listen to music and I caress him ’til he settles down. It’s all about music. It’s an unspoken language. Click here to be taken to Maria Shriver's post on The 5th Dementia Documentary highlighting our very own singer, Leola Davis. The following is an excerpt from an interview from The 5th Dementia Documentary with Diana Davidow who lives with Parkinson’s disease and her partner, Debrah Constance. The interview took place at their home along the Venice canals. Serene: Who noticed your Parkinson’s first? Diana: Me. I didn’t know it was Parkinson’s. For a couple of years before, I would be sitting in a movie and this foot just torqued. And I would have to turn it. I thought that’s so weird. But I let that go. I didn’t think anything of it. But then the other thing I realized in retrospect is that…I have a studio upstairs and I’d be walking there and then all of a sudden it was like my foot fell asleep a little. I also ignored that. I’m very good at not taking in what I don’t want to take in. You know, obviously I stop being unable to feel it so I figured it was nothing. My gait slowed down. I’m a fast walker and I’m trying to get myself to go the way I used to. I thought this is it, old age. And so that went on for quite a long time. And then the tremor. I had 2 kinds of tremors. A familial tremor and a Parkinson’s tremor. Sometimes it’s worse. My handwriting got tiny. It was like a miniaturization of my handwriting. It got so small. Meredith (her daughter) was at the doctor’s with me to see whether I had Parkinson’s at UCLA and she saw me writing and she said “You know what mom, you have Parkinson’s, look at your handwriting.” I said “Yeah I do, I do.” So when I went in, I had to tell them everything. Serene: Do you take medication? Diana: I don’t take much. I actually never thought of myself as having Parkinson’s. It was never really a thing to me. I’ve had it for a long time. I’ve had it 6 years now. Some people have the tremor kind. Some people have the internal kind. So I think I’m lucky. The second that I found out, I got myself into everything that I heard was going to work to slow the progression. I think that it really helped me. I had the speech therapy at the beginning. I didn’t have a speech problem but I wanted to make sure, so I did that. Now I box because that is a very important thing apparently. I just saw the thing on Michael J. Fox. Apparently he does boxing. I go to his annual fund raising gala every year. I think he’s just great. Diana: This is Polly Bear (her dog is brought to her). She’s the cutest. Does anyone else have a dog as beautiful as this dog? Serene: How did you get involved with Music Mends Minds? Diana: Carol and I were in the same art class. We talked about it. We became friends. We went to New York together to the Michael J. Fox gala. The way that I got involved with Music Mends Minds was one day when I was at her house having lunch with her and Irwin, Carol suggested Irwin play the piano for me. He sat down at the piano. I asked him if he knew any show tunes. I love singing show tunes. He started playing and I started singing. He’s playing and I’m singing and he’s playing and I’m singing and we’re having the best time. I couldn’t believe this man was playing the piano. So from that point on I was listening to what she was telling me about him. Carol decided to send out an email asking for anyone that could play an instrument. She got all sorts of responses from people that played an instrument and wanting to join (The 5th Dementia band) and I was getting nothing. So I told her I had an instrument. She said “you do?” I said “I have vocal chords. I can sing.” Carol said “ok go over there and sing.” So I did! I’ve made good friends there. Pat, Bob, Leola, they are my buddies. Serene: And now you have a huge group. You meet twice a week and have the best time. The music seems to bring everyone together. Debrah: The fact that nobody was using their instruments or their talents. And Now. What an unbelievable thing to happen. It’s like a miracle. It’s a miraculous find. Diana: I really like these people. I fell in love with the group. Serene: Do you see any change in Diana because of Music Mends Minds? Debrah: It’s a really happy interlude in her life. It’s a nice little piece that’s added. She brings a lot to the group. They are lucky to have her. Serene: How do you help Diana now that she’s living with Parkinson’s. Debrah: I help her by being a loving, supportive partner. Anything she needs. Emotionally, with the family. I’m a good editor. She has a lot going on. Diana: I have all of these roles, these hats. They’re all great. I had to give something up. I had a lot of things on my plate. What happened was I got tired. I didn’t look at the Parkinson’s like I had Parkinson’s for a long time. I didn’t feel anything different. Debrah: She didn’t look at feeling tired as part of the Parkinson’s. In the 20 years that I’ve known you, you don’t seem any different. You certainly don’t seem like you’re sick or like you have anything other than you. Diana: Yeah. The only thing is that when I get a knee that has a problem and a neck that has a problem, I’m not used to that. And then I think well I have to be careful because when I knew I had it, a few years back, I used to fall on the cement. Which I think might have affected my knees. It’s just like coming to me now, oh my god, I had really bad falls. And then it stopped. 1 of their 5 dogs starts barking…. Debrah: Polly Bear stop barking. Diana: Polly Bear, Polly Bear. Here honey. Serene: How do you know which dog is barking. Diana: Their barks are different. Debrah: Well that’s a tiny dog. Serene: They’re all tiny dogs. Diana: Have you seen my artwork? They are abstract paintings. I am having a show in January. I’ll let you know about it if you want to come. Debrah (pointing): Her latest ones are the women. Diana: The women. I did a series of women. Women in power. Women who are in transition who are becoming. I have 3 more upstairs and I’m finishing one. Serene: Is this from the art class you did with Carol? Diana: Yeah. I went to this class because I wanted to learn abstract. Debrah: Wait you want to see something? I have to show you what this guy at the gym gave me. (She gets her boxing robe to show us that says “The Menace of Venice” on the back and “Black Lives Matter” on both sleeves while shadow boxing with the hood on.) Don’t laugh. Wasn’t that nice of him? Serene: Here she comes. (Diana sings Rocky music) I can’t believe she’s 70. How often do you box? Diana: I can do that too. I take boxing 3 times a week. Debrah: You take Parkinson’s boxing. Diana: Well believe me it’s tough. (laughs) Really yeah. Parkinson’s shmarkinson’s…it’s tough. That’s it! Serene: OMG it’s like a routine. Debrah: We are a routine.